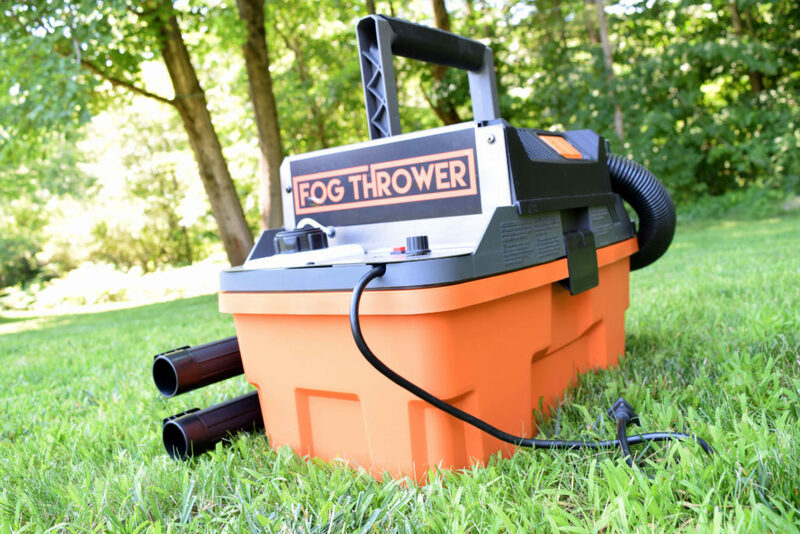 The Fog Thrower is a high velocity smoke machine. The hose delivers a volume of fog and forced air. It is useful for pressure testing an enclosed area.